So that was it, Demi was gone. Her and Diana had packed their bags that very day. Demi put her UK tour on hold, promising her fans that she would come back, and they left. Samantha dropped Kesha home and she was greeted with silence by her parents. She went straight up to her room where she stood looking around at her belongings. Her eyes found the box of coloured hair extensions. She remembered how pretty Demi had looked with them in. "Demi..." Kesha whispered, her voice catching in her throat. "Come back." She curled up weakly on her bed, picking up her laptop and typing in Demi&apos;s name. A listof songs came up, but there was one in particular that caught her eye. She pressed the link and soon the song I Hate You, Don&apos;t Leave Me was filling her ears. Kesha listened to the song with tears in her eyes. It could have been written by her. Kesha grabbed her phone and brought up Demi&apos;s number before quickly hiding hers. Then she began to text. 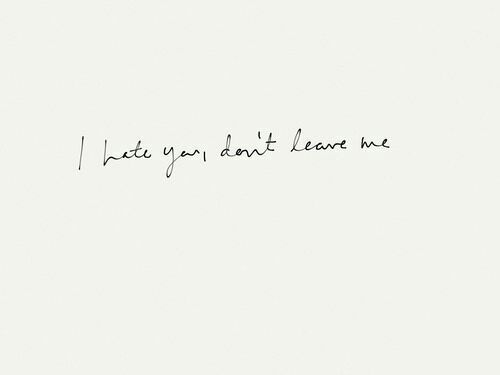 To Demi - I hate you. Don&apos;t leave me. To Demi - I feel like I can&apos;t breathe. To Demi - Just hold me. Don&apos;t touch me. From Demi - Who is this? Please tell me or stop texting me! Kesha read the text, contemplating whether she should reveal herself to Demi. "No, no I shouldn&apos;t," she concluded. "She can&apos;t know, she just can&apos;t... But one more text can&apos;t hurt, right?" To Demi - I can&apos;t take this pain. Kesha looked down at the message. It was true, she really couldn&apos;t.
A scream escaped her lips and soon Kesha was a wreck on the floor. She tried desperately to reach out for anything sharp. It wasn&apos;t long before her pillowcase was empty and a small pair of scissors were in her trembling hands. Then she began to cut. Everywhere she attacked her frail body, stripping herself down to her underwear to get to more skin. Soon even her parents couldn&apos;t ignore the pain-filled screens of their daughter. At the sight of their daughter practically dripping in blood and screaming, her mother saw red. "I TOLD YOU THIS WOULD HAPPEN!" Meg screamed furiously. "I TOLD YOU DIANA&apos;S FREAK OF A DAUGHTER WOULD TURN HER! THEY&apos;RE ALL FREAKS! THEY ALREADY TRIED TO TURN ME, BUT I RAN! I GOT AWAY! I JUST KNEW THEY WOULD GET KESANDRA TOO!" "She needs a doctor!" Sam yelled, his eyes fixed on his daughter. "SHE NEEDS A MENTAL INSTITUTE!" Meg argued. Sam tookmatters into his own hands then, hating the sight of blood, and called for an ambulance. It arrived promptly and soon paramedics were carrying a still screaming, though barely concious, Kesha into the ambulance. Her parents refused to go in with her and followed in their own car. With all the commotion, Samantha appeared at her door. "What happened?" Samantha cried, just missing catching a glimpse of Kesha. "That stupid brat had a suicide attempt or something," Meg growled. "WHAT?" Samantha yelled, fear filling her eyes. "WHEN?" "When do you think?" Sam snapped furiously. "Just now!" "I&apos;m coming to the hospital," Samantha stated before running inside without another word. Kesha&apos;s parents didn&apos;t have a chance to object and just started to drive. Meanwhile, Demi and Diana had just boarded their plane. Demi had a distant look on her face. "This is for the best, you know..." Diana soothed gently. Demi barely even nodded. She just kept glancing down at her phone. "Any more texts from your mystery person?" Diana asked, desperate to distract Demi from her thoughts. "No," she whispered. "I&apos;m just going to turn off my phone of the flight. Maybe I&apos;ll sleep a little..."
"Good idea, baby." Diana said with a smile. She picked up her phone. Surprise washed over her as she saw three missed calls from Meg and five texts. From Meg - I CAN&apos;T BELIEVE YOU TURNED KESANDRA INTO ONE OF YOU! From Meg - SHE&apos;S ON HER WAY TO HOSPITAL BECAUSE OF YOU! From Meg - I HOPE YOU&apos;RE HAPPY NOW, YOU BROKE MY DAUGHTER. From Meg - I HOPE DEMI&apos;S PROUD OF HERSELF! From Meg - If she dies it&apos;s all on you and you&apos;re pathetic excuse of a daughter. Diana read the texts, freezing at the sight of them. "Mum, are you okay? Mum?" Demi asked, shaking her mum lightly. When she got no response, Demi pulled the phone out of her mum&apos;s grip and read the messages herself. She didn&apos;t let them sink in. She didn&apos;t let herself react properly. She simply stood up and began trying to get towards the doors. In their daze, neither Demi nor Diana had noticed the seatbelt sign come on, or that the plane had started moving. "Madam, we must ask you to sit down!" An air hostess said, going to guide Demi back to her seat. "NO! YOU DON&apos;T UNDERSTAND, I HAVE TO GET OFF! I HAVE TO GET TO THE HOSPITAL, SHE NEEDS ME!" Demi screamed, now finally starting to cry. "I am very sorry, madam, but you&apos;re too late. We cannot stop this flight," the hostess apologized. Demi stared at her in horror. Two words stated floating around her mind.